Below you'll find just a few of the copywriting projects I've completed. Click the tabs below to read more about each project. Also feel free to check out my testimonials to see what my clients are saying. Ready to start connecting with more customers? Contact me with your project details. Taos Vacation Rental specializes in short-term rentals in the Taos region. After doing well on Airbnb, they wanted to create a website to expand their outreach. I created the website, including the design and content, to provide an easy effective book process for potential guests. WaterWell sells portable water filter bottles for travelers, hikers, and outdoor enthusiasts who may not have access to clean drinking water. Despite doing well on Amazon, they needed a website to expand their market outreach. I created their entire website including the design, copy, and product descriptions. Since the launch of the website, their sales are up almost 50%! Experience Limo is a limo service offering personalized tours in the Houston area. However, their website copy failed to showcase their exclusive services and what made them different from similar companies. I revised their copy to highlight their unique benefits to really help make them stand out from the competition. Aurisbank Media is an all-in-one marketing solution for hearing care professionals. The website copy I crafted was clear, concise and focused on each of the product's benefits to ensure maximum ROI. Springfarm Dental is a dental practice located in Toronto, Canada. While they were getting patients in person, they were having a harder time finding them online. I rewrote their website copy to showcase the practice’s exceptional dental care, knowledgeable staff and modern facilities. Since then, they have noticed a steady increase in patient inquiries. CARIFREE develops dental products that help boost oral health and protect against cavitites. Their previous blog post was generic and bland. I helped them to improve their blog content to engage readers, build trust, and get them to take action. 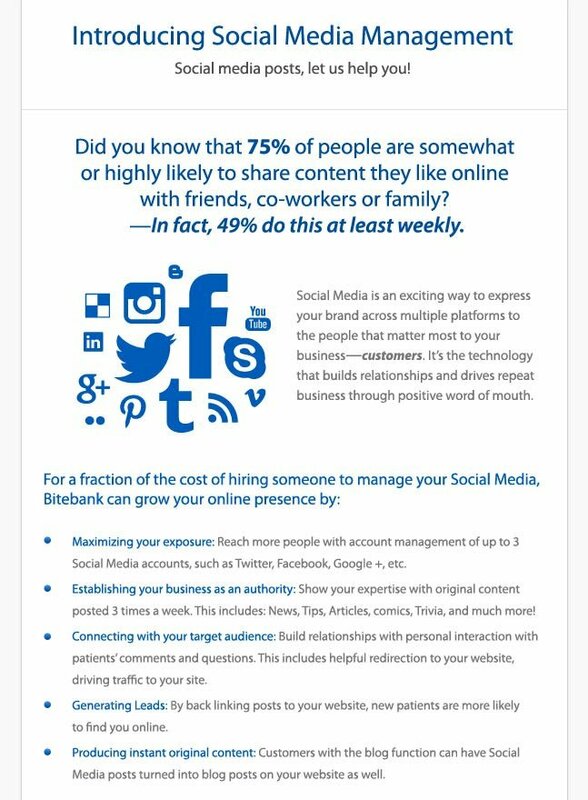 As a copywriter at Bitebank Media, I had to craft a landing promoting our social media marketing services for clients. Thanks to clear, concise, benefit-driven copy, there was a sharp increase in signups. The original description for this client’s Airbnb listing lacked the essential details and information to draw readers in. It resembled every other Airbnb listing out there and failed to make an impact. After updating his listing with rich descriptive imagery and photos, he’s getting more enquiries than ever before. 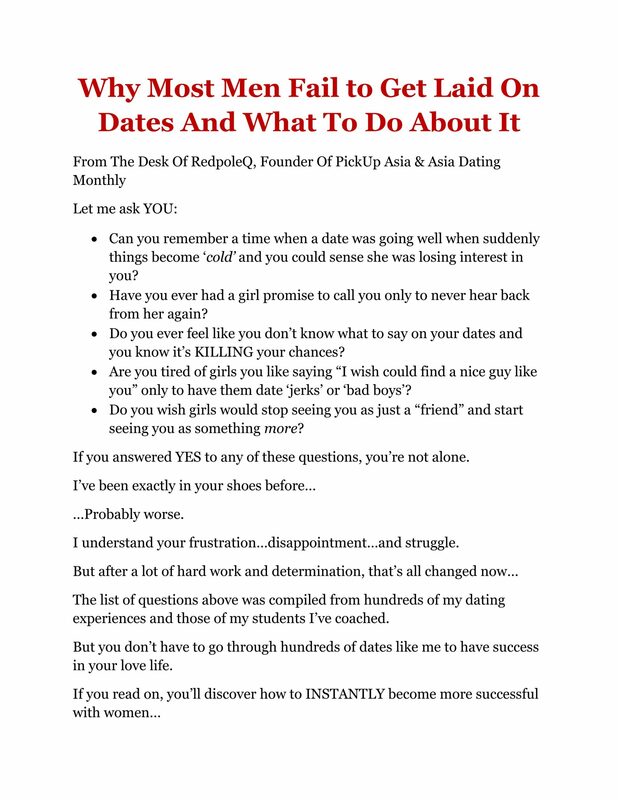 This sales letter is based on the fantastic dating book by RedpoleQ. I related to his audience’s pain, amplified their deep desires and showed exactly how the product could help them improve their dating life. 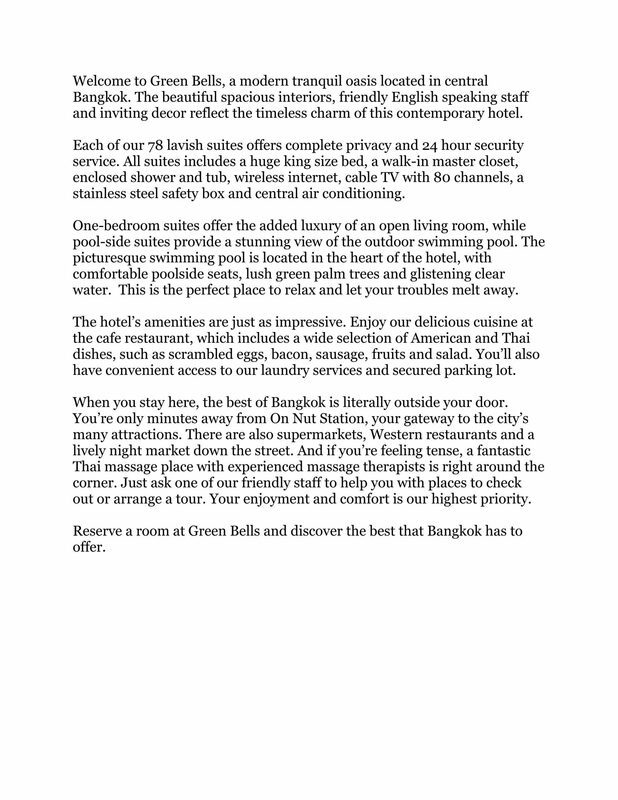 This short brochure is based on the lovely Green Bells Hotel I stayed at in Bangkok. This hidden gem includes spacious private suites, a stunning outdoor swimming pool and delicious authentic Thai and American cuisine. I couldn’t have asked for a better place to relax and let my troubles melt away.